Orphism (Orphic Cubism) was an extension of Cubism that incorporated abstract designs with bright colors. He focused on the sensation of pure colors doing away with any recognizable images by using only form and color. The name comes from the Greek myth of Orpheus who was considered a legendary artist, singer, and poet. Artist painting in this style saw similarities between musical tones and visual hues. 1. There is no limit to your color choices. You may include shades and tints, as well as, pure tones. The colors should be bright and harmonious. Colors should be painted solidly without blending or shading. 2. Limit your design elements to mostly circular forms. They can be split in half or overlap. 3. Break up the design so that there are a few sections where colors will randomly change. 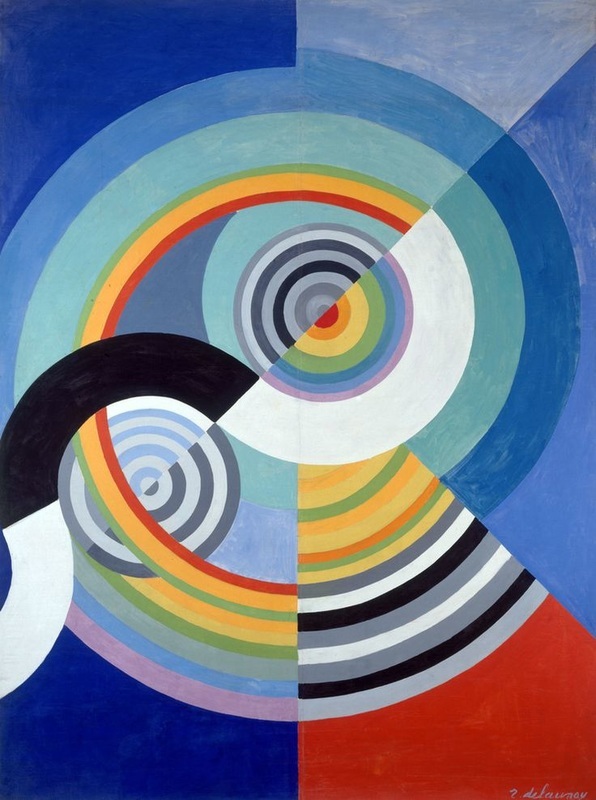 Study the examples of Delaunay’s work for ideas.